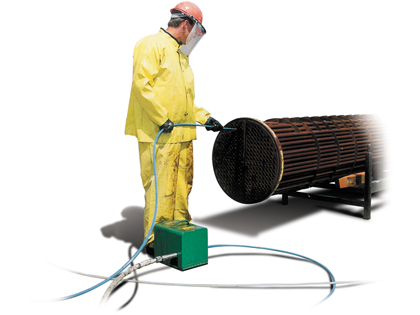 NLB offers a full line of tools designed to protect operators doing pipe and tube cleaning. There are two back-out preventers, designed to keep the high pressure hose from coming completely out of the tube, and two flex lance guards, which work to ensure that an operator can’t pull a pressurized nozzle out of a tube and into their hand. We also offer custom cut and threaded stingers, which, when properly installed, ensure that a high-pressure nozzle cannot turn back on itself and come back toward the operator. Click on the buttons below to learn more.